Our Sidekick Unlocking process provides guaranteed unlocking for your phone irrespective of your current GSM network. We use the same unlock procedure that the networks use. This unlock process is also sometimes referred to as imei unlock, or manufacturer or factory unlock. For many phone models the unlock process is instant. For some phones the unlock process can take up to 5 minutes and for some others it could take longer. In every case, we email your Sidekick unlock code as soon as it is available. We aim to provide the fastet Sidekick unlocking by imei code. You can order at any time day or night and receive your unlock code even if its 2AM. Once unlocked you can use your phone with any GSM network anywhere in the world. 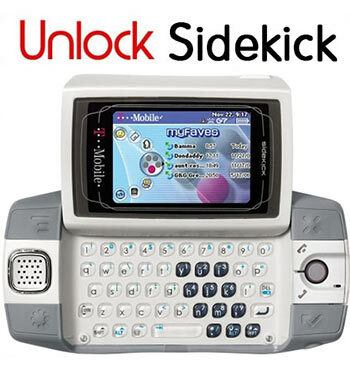 Benefits to unlock your Sidekick Phone with UnlockMob.com. Our unlock method is safe and does not void your Sidekick phone's existing warranty.